Boost your SEO with this extension and make your site visible to the search engine machines. This extension is fully compatible with the latest search engine requirements - Google, Yandex, Bing. 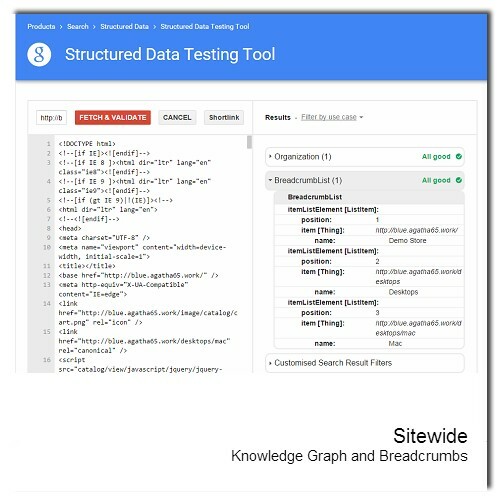 Why should you use structured data on your site? This hidden data is visible for the search engines and make your brand, site structure, and products easily identifiable. The schema.org markup is implemented accordingly to the latest Google requirements (JSON-LD) and all new features are included. 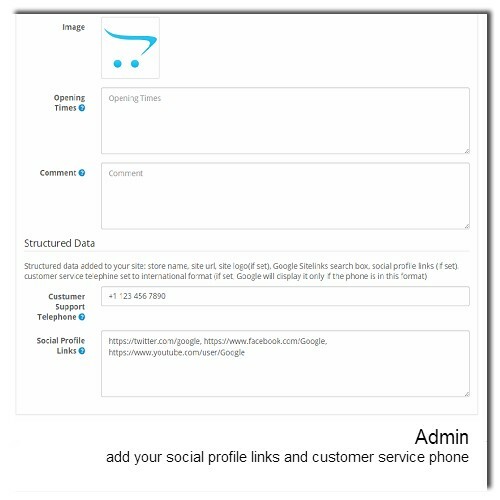 and especially your social profile links will provide better information to your customers and will help you establish trust and authority for your brand. 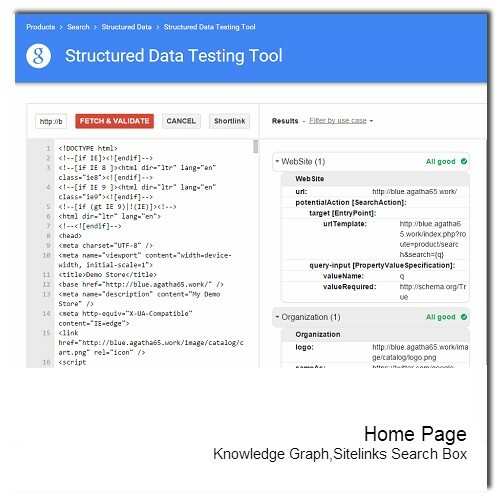 The Sitelinks Search Box helps people to reach your content quickly. The Search Box is displayed within the search results, supports the autocomplete feature and sends potential users right to your search page. 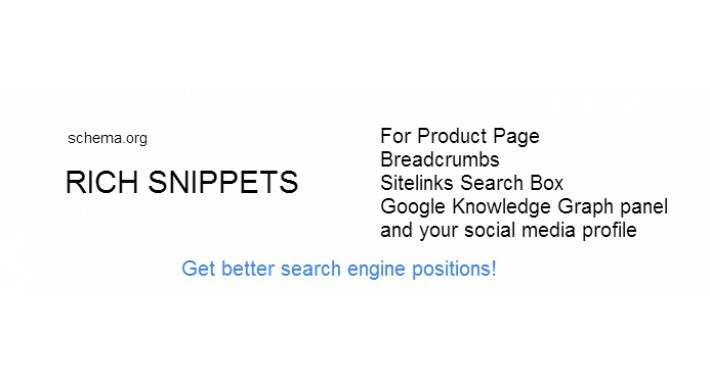 The Breadcrumbs structure for your site is another important thing sent to the search engines. 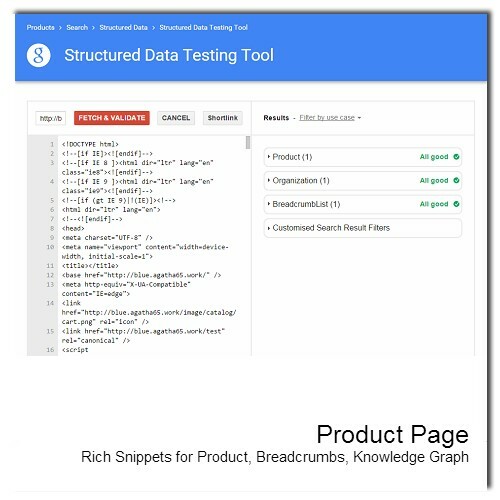 This extension adds breadcrumbs markup for all site pages. Google is in the process of replacing the site url as the first element of the bredcrumbs with the site name and this is included in our extension. Category, Manufacturer, and Specials Page breadcrumbs. You might be interested in adding Facebook Open Graph tags to your site. Check out my free extension Facebook Open Graph Tags and share your products the right way. 2019-01-06 New version 1.3 to follow the changes in Google requirements. Please update. If you need help or your code needs some customizations just contact us. 2017-10-27 New version 1.2 to follow the changes in Google requirements. Please update. If you need help or your code needs some customizations just contact us. Nice extension and very usefull. It raised all my products up a few pages!